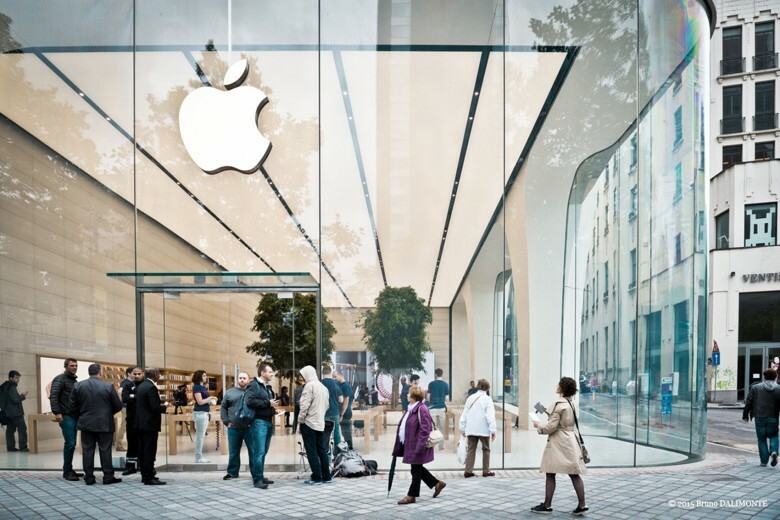 Belgium's Apple Store is one of the first to bear Jony Ive's imprint. We know Jony Ive can design computers large and small. So why not the space where the devices are sold? The world caught a glimpse of a new Ive-designed Apple Store in Brussels this week and the common theme seems to be: wood. The Apple Store showroom in Brussels features trees and a greater use of wood. 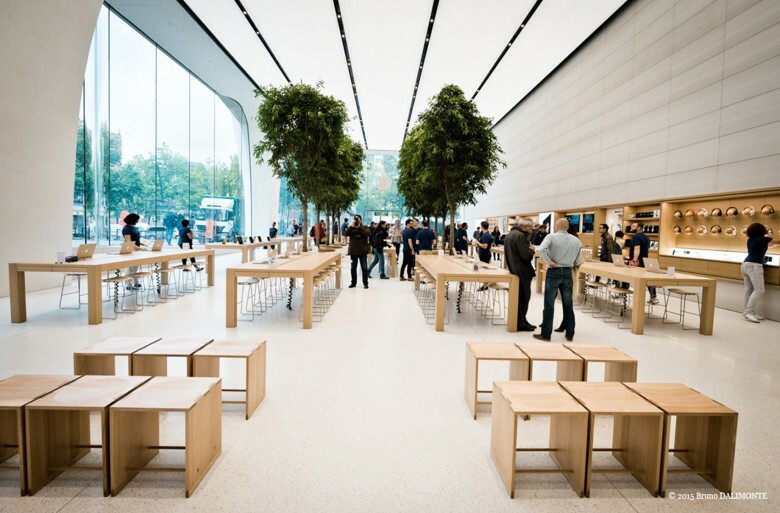 The store, on Avenue de la Toison d’Or, won’t officially open until Saturday, but the storefront is now unboarded and Brusselaars on foot will notice two lines of trees on the inside of the new Apple showroom, plus lots of wooden interior features. Wooden draws store products but also serve to keep packaging out of sight. 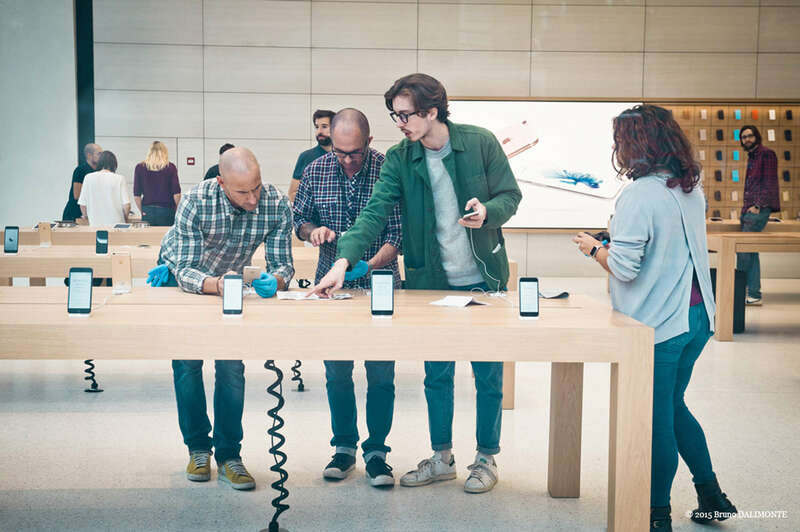 Belgians are not only getting their first Apple Store, but they are the recipient of one of Ive’s first non-hardware designs since a May promotion by Apple to chief design officer. Celebrated for designs from the first iMac to the iPhone, Ive’s promotion was seen as a move that broadened his design influence to include other parts of the company. Members of the press were given a preview of the new Apple Store in Brussels, which official opens Saturday. The Brussel’s store, which was open to the tech press for tours Thursday, appears to have fewer backlit product photos on the walls. 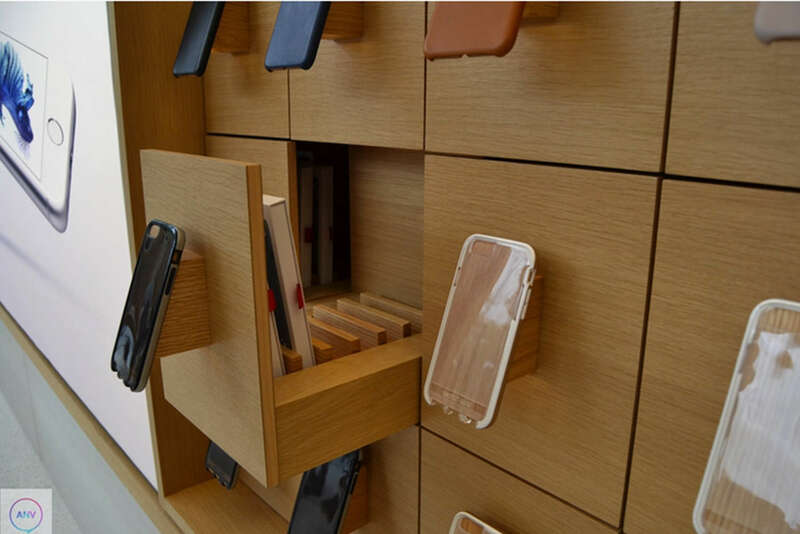 The generous use of wood — from the benches at the Genius Bar to the drawers where products are stored — gives the showroom a warmer feel. The store retains the type of clean, modern look you’d expect from Ive.